New Medical Director - ONRAD, Inc.
February 10, 2011 – ONRAD, a U.S. based provider of radiology solutions, is pleased to announce that Dr. Jason Lue has been hired as the Medical Director of the Radiology Departments at East Los Angeles Doctors Hospital and the Community Hospital of Huntington Park.  ONRAD currently provides on-site radiology services as well as teleradiology coverage for East Los Angeles Doctors Hospital and the Community Hospital of Huntington Park. Dr. Lue received his medical degree from the University of Medicine and Dentistry of New Jersey. He completed his residency at Long Island College Hospital and a fellowship in Body Imaging at University of California – Davis Medical Center. Dr. Lue is certified by the American Board of Radiology and is also MQSA Mammography certified. East Los Angeles Doctors Hospital and Community Hospital of Huntington Park are part of Avanti Health System, LLC. The mission of Avanti Health System is to build a health care system that is regarded as an innovative leader in the ears of quality of care, customer service, employee satisfaction, financial success, and community contribution on a national scale. East Los Angeles Doctors Hospital is licensed for 127 beds and provides the following services: Obstetrics, Pediatrics Medical/Surgical, Intensive and Coronary Care, Sub-acute Care, 24-hour Emergency Services, Laboratory, Diagnostic Imaging, Cardiopulmonary Medicine, and Rehabilitation Services. Community Hospital of Huntington Park is licensed for 89 beds and provides a wide range of services to the community.